The Destin Commons is the place to go if you’re looking for an amazing shopping experience while visiting the Heart of Florida’s Emerald Coast. 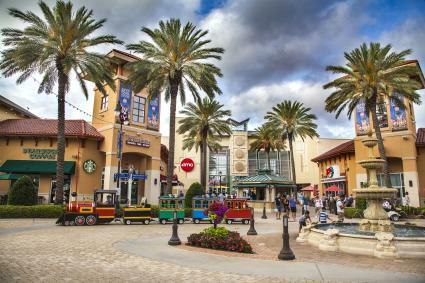 The outdoor mall and lifestyle center truly has something for everyone. Visit the mall and you’ll find delicious dining options, shopping for tastes of all ages, and events throughout the year. In addition to all of the stores you know and love at the Destin Commons, keep an eye out for these new shops! RIDEMAKERZ offers the awesome experience of making your own one-of a kind car toy and Innerlight Surf & Skate Shop features coastal lifestyle apparel for the whole family. Fashionistas will be happy to hear that Copper Closet has opened their doors with bohemian vibes and fashion forward styles. Torrid will open soon with styles in sizes ranging from 10 to 30. A relaxing day of shopping will certainly work up an appetite so try a tasty meal at one of these new restaurants. If you’re a fan of fun dining, there are a few new options at the Destin Commons. Paula Deen’s Family Kitchen has a brand-new location in the Destin Commons. This southern family style restaurant is one to check out if you’re a fan of delicious southern dishes like Paula Deen’s Best Ever Southern Fried Chicken! Looking for a sweet treat? Destination Little Donuts & Cups and Cones will have you covered with 60 made to order donut flavors, gelato, ice cream, and even locally brewed coffee. Coming soon to the Destin Commons is Gulf Coast Burger Company. Don’t miss out on the chance to try their gourmet burgers and iconic mason jar milkshakes, which they’ve dubbed as “Cat 5 Shakes.” Breakfast lovers rejoice! Another Broken Egg Café will join the ranks of Destin Commons dining spots this summer. While visiting Destin, Fort Walton Beach, Okaloosa Island take some time to check out all that the Destin Commons has to offer!